General purpose of this lecture is to presentation on Mountain Pine Beetle in British Columbia. 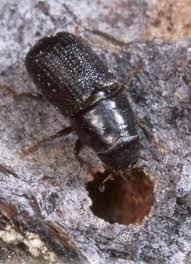 Mountain Pine Beetle attacks all types of pine trees, but preferential to Lodgepole and Ponderosa Pine. MPB are a natural aspect to a forest ecosystem and beetles don’t kill the tree, Bluestain Fungus kills the tree. It causes various problems occur, like Dense Forests Allow Easy Access to New Host Trees, average temperatures in Central BC have been significantly warmer than normal and Warm Temperatures allow MPB to thrive.